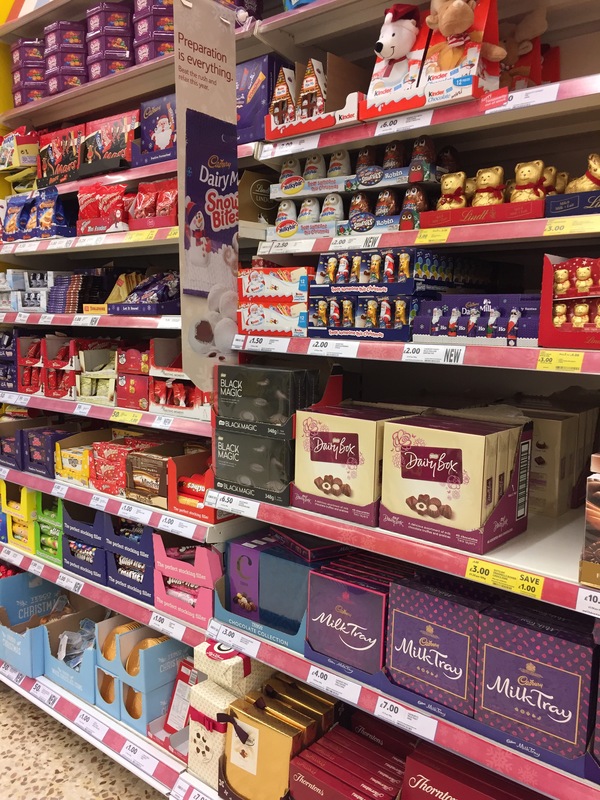 As I walked into Tesco Kingston this morning, I was greeted with stacks of Quality Street and Roses tins or ‘tubs’ as they must now be called (No metal tin in sight, tradition isn’t what it used to be – but that’s a whole other topic). 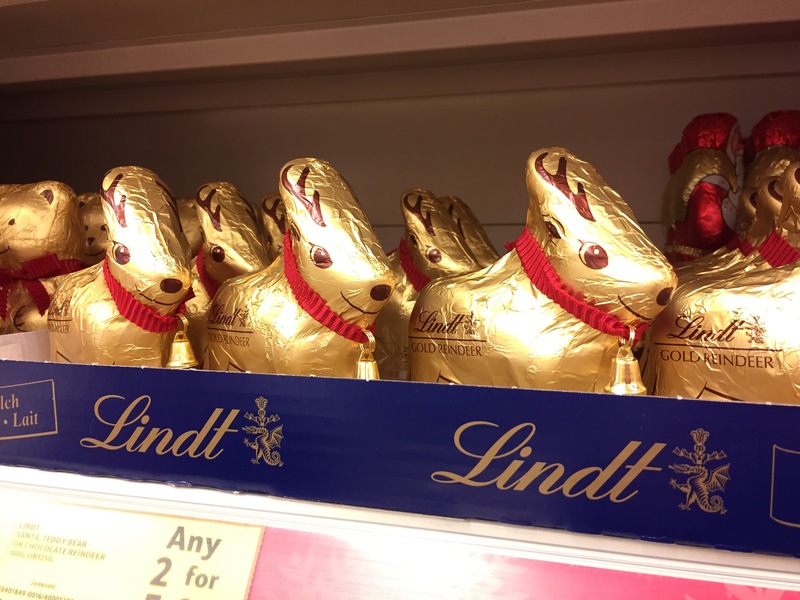 Then as I entered the first aisle I realised, Oh my Christmas is now here, in supermarket retail world at least. Mince pies, Christmas cakes, enough chocolate reindeers and Santa’s to keep Augustus Gloop satisfied for a whole week. Now, I might not want to be reminded of Christmas in September when we have so much to focus on before that magical season begins. But I do admit I get a little excited knowing it’s already here in the supermarkets which means it’s not too far away. I can imagine people getting up on their soap box about whether it’s appropriate for Christmas goodies to be on sale just after the first week of September, but for the few minutes I was in front of the mince pies, the only people I saw perusing and putting items in their trolley was a couple of smart looking elderly women who were checking use by dates and the special offer deals. It makes you think that this could be a good time for preparation. After all it is a special time of year, where people want to indulge, give gifts and enjoy lots of treats. There is absolutely nothing wrong with preparation and maybe these older ladies have a good game plan. 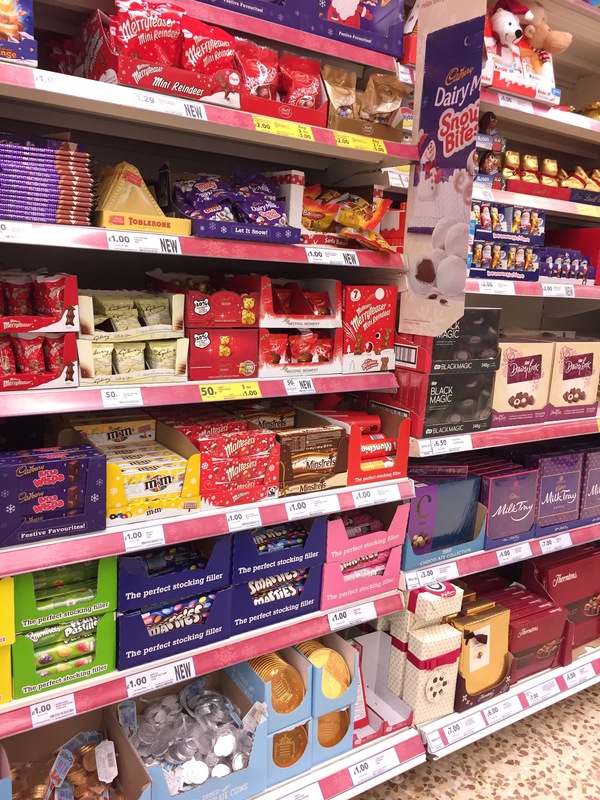 When it isn’t always possible to spend a huge amount in December alone, budgeting and planning can be useful and it doesn’t hurt anyone by popping up some Christmas chocolates and sweets in stores in September. It’s only taking up space on shelves that would otherwise be used by surplus stocks of quadrupled recycled, eco value toilet roll on multi-buy. 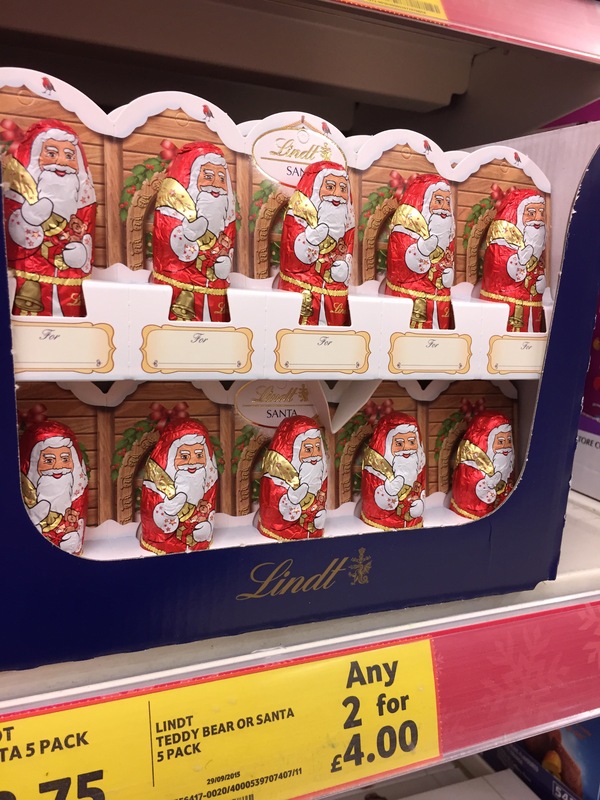 Do you mind that Christmas is here (in supermarkets) in September? Or are you someone who loves to plan and will start buying little treats for Christmas from now? Do you have a set preparation plan for the festive season? I know, for one it is hard to juggle presents, food, sweet treats, the entertaining and the Christmas parties (and the dresses us girls need) all in one pay packet. The only problem I foresee is not giving in and eating a mince pie before Advent starts. EEK! The Hot Cat Club is open for business!